With the growth of the ageing population, aged care advice is needed today more than ever. The complexity surrounding aged care means it can sometimes be overwhelming and confusing for you and your loved ones. Aged Care Who Cares? is a guide for people looking to secure the best possible outcome for aged care. The information contained in the book helps you choose an option that not only meets your financial needs and objectives but also considers your emotional wellbeing. Care at Home, Retirement Communities, Residential Aged Care and Funding your Care. Given around 75% of care provided is done so at home, I’ve decided to concentrate this review on Section 1, Care at Home. I found this to be the most interesting topic which probably stems from my own experience with aged care. My grandmother (70) still works full time and is only just beginning to consider retirement now. At present, she has no interest in moving into a retirement village or aged care facility and wants to stay in the family home as long as possible. Lane and Whittaker discuss the different types of home care available and the merit of each. These include; Home Care Packages (HCP), Commonwealth Home Support Programme (CHSP) Veterans’ Home Care (VHC) / Community Nursing and Private Care. My grandmother’s doctor recently referred her for an Aged Care Assessment Team (ACAT) which is key to accessing most government-funded aged care services. The purpose of an ACAT assessment is to determine the level of care you need. The assessor will speak to you about your day to day activities, the things you are comfortable doing yourself and things you may need assistance with. ACAT assessments remain valid indefinitely unless a time restriction has been applied to it. As with any government service, there is a waiting period to receive an ACAT assessment. If you are lucky, you will be assessed relatively quickly; however, if it is during the season of Aged Care (typically November to April) the wait period can be quite extensive. During these months, family come to visit. They see the change or detrition in their loved ones and take action to get them assistance. This then creates a surge in the need for ACAT assessments and the waiting begins. As highlighted by Lane and Whittaker, there are four levels of Home Care Packages. Level 1 offers support to people with basic care needs, while level 4 offers support to people with high care needs. Although my dear nan has been assessed and ACAT have determined her level of care required, she now needs to join the National Prioritisation Queue with over 100,000 other Australians who need home care. The queue basically works on a ‘get what you’re given’ basis. You can opt for a lower level package while waiting for your approved package level. That is, if you are assessed to be a Level 4, which is the highest Level of Care and a Level 1 Care Package is available next, you will be assigned a Level 1 Package. Think of it like having a broken leg in the emergency department. You wait and wait to receive some relief but all the nurse can offer you is a Panadol. You take it because that is all that is on offer. You still have a broken leg and you still aren’t getting the care you need. That is the unfortunate position 40,000 consumers are in. I was surprised to learn that granny flat arrangements aren’t as straightforward as people think. What springs to mind is a small flat or self-contained unit built on your children’s property but that isn’t always the case. In the eyes of Centrelink, a granny flat interest or right is where you pay for the right to live in a specific home for life. You can’t be a legal owner of that home and it is not part of your estate when you die. So, a granny flat arrangement is any kind of dwelling such as a room or living area in an existing home, not just those typically referred to as granny flats. Lane and Whittaker touch on a few key considerations when entering into a granny flat arrangement. Generally speaking, the amount you pay for a granny flat right or life interest should be market value. This payment can be the exchange of assets, money or both assets and money. Centrelink has deemed that if you pay less than $207,000 under your granny flat arrangement then you are not a homeowner. You will receive rent assistance, but the granny flat will count towards your assets under the asset test. If you paid more than $207,000 you are a homeowner, no rent assistance is afforded but the asset is exempt from asset tests. It is important to ensure that you do not pay too much or too little when entering into a granny flat arrangement. If you pay too much, you can invoke Centrelink’s gifting rules where you give away an asset without getting something of at least equal value in return. The extra amount you have paid for the granny flat then becomes a deprived asset which impacts on your entitlements. Aged care can be very tricky to navigate but Lane and Whittaker have done well to simplify it as much as possible. 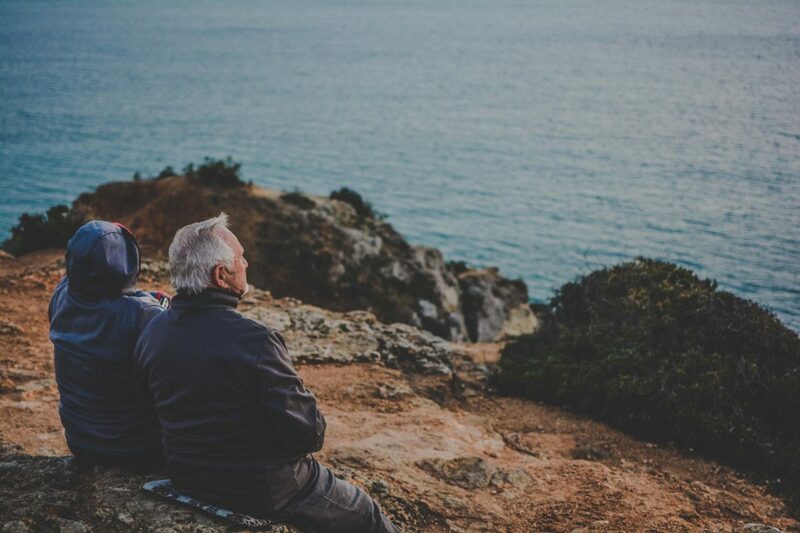 There are a number of options available to retirees, each with their own complexities. 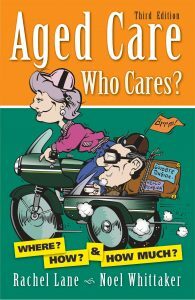 I recommend this book for those who wish to explore Aged Care options for themselves or loved ones. Please note that this article provides general advice and has not taken into consideration your personal or financial circumstances. If you would like more tailored advice, please contact us today. One of our advisers would be delighted to speak to you.